The HERO4 Session has been maligned by much of the Internet when it was first released because the video quality wasn’t on par with the HERO4 Silver at the same (original) price of $400. 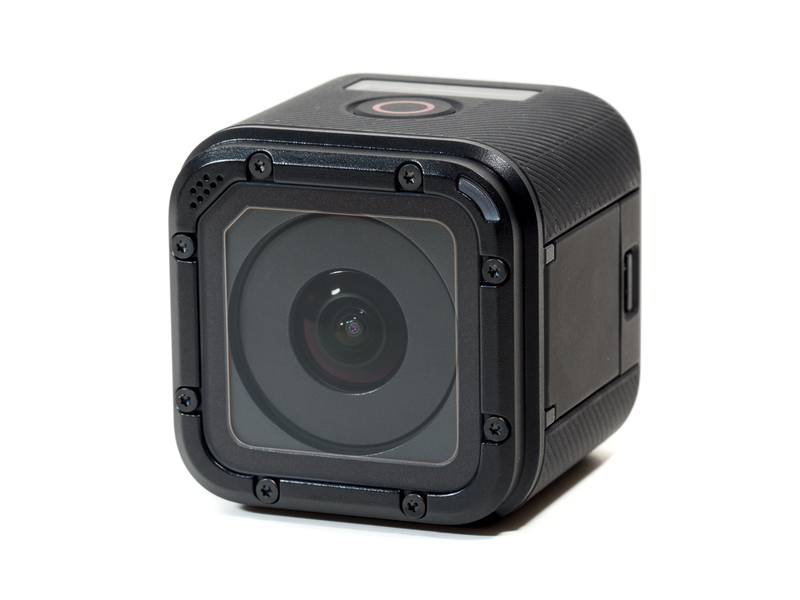 But, the reason I wanted the GoPro HERO4 Session is the form factor. It is smaller than the other HERO units, and my primary usage for any GoPro would be for mounting on a rifle. The regular GoPro units are just too bulky to attach to a rifle handguard, especially when you factor in the mounting equipment. Alas, I did not get a HERO4 Session because the $400 price was just to cost prohibitive to justify what I would be using for. But just recently, as financial experts have reported the downturn of the GoPro company’s outlook, GoPro slashed the price of the Session from $400 to $200. This gave me enough impetus to order one from Amazon. Of course, the next step was to find a way to actually mount it on my AR-15. Since I run a Bravo Company USA KMR (Keymod Rail), I wanted to get a direct adapter that attached via Keymod nuts. I could use one of the Picatinny mounts, by placing a Picatinny to Keymod rail on the KMR (the KMR ships with one). 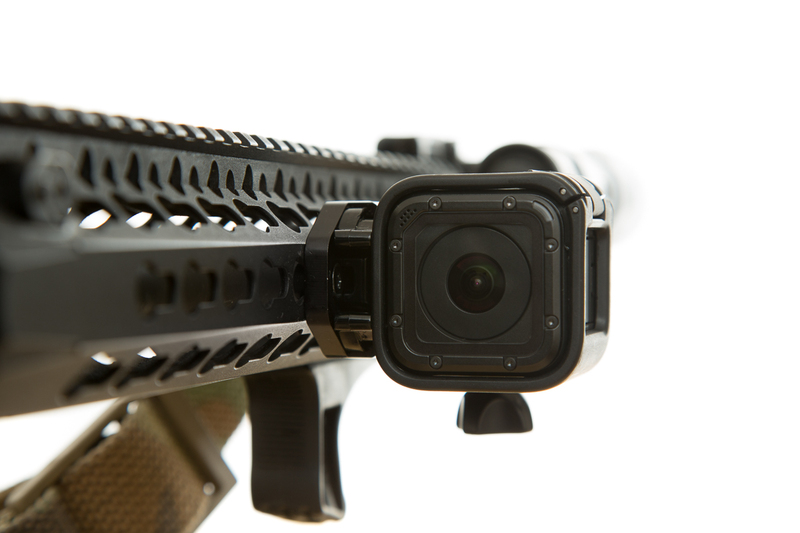 But that would add some extra space between the GoPro and the handguard, and cause the HERO4 Session to extend out more than necessary (even if it is only measured in millimeters). Amazon and Google searches turned up many Chinese-made Keymod GoPro mounts, which actually attach the frame without the GoPro quick-release plate. But Google also yielded a GoPro Keymod mount made by Wojtek Weaponry. ‘Wojtek’ is pronounced VOY – TEK (Polish). [Wikipedia]. Incidentally, Wojtek Weaponry is in Escondido (California) and appears to be a small shop that machines their own parts. 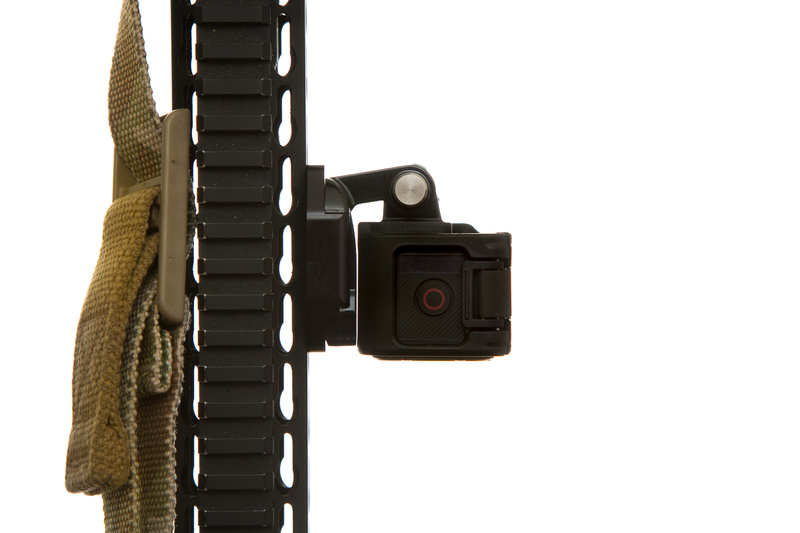 The Wojtek GoPro Keymod mount is a simple design, which is essentially a single plate with Keymod nuts and index points on the side that interfaces with the Keymod handguard, and a GoPro QR female adapter on the other side. 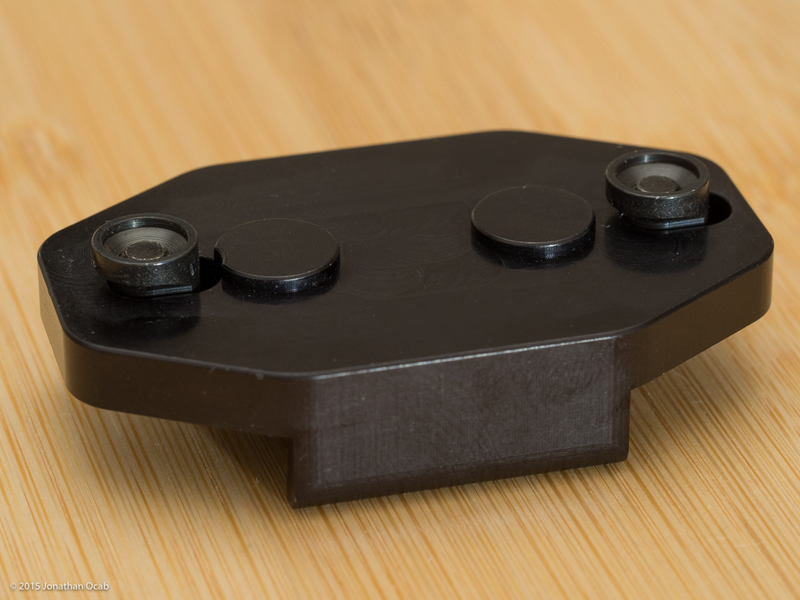 From here, any GoPro quick release frame can attach to the plate. 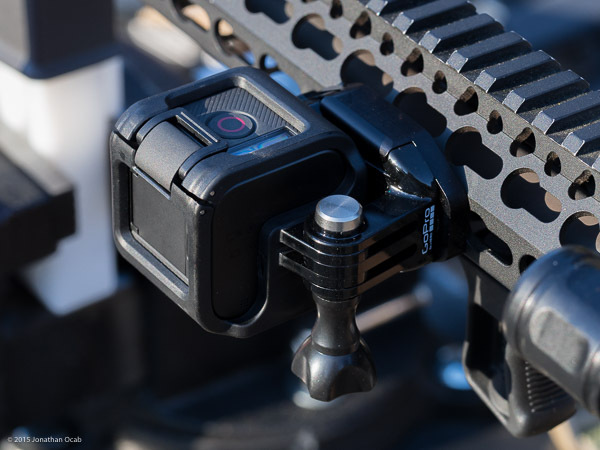 The HERO4 Session comes with a couple frames, but one of the frame and QR combos includes a low-profile configuration, that sets the Session very close to the QR clip, resulting in a very flush fit with the mount it is attached to. 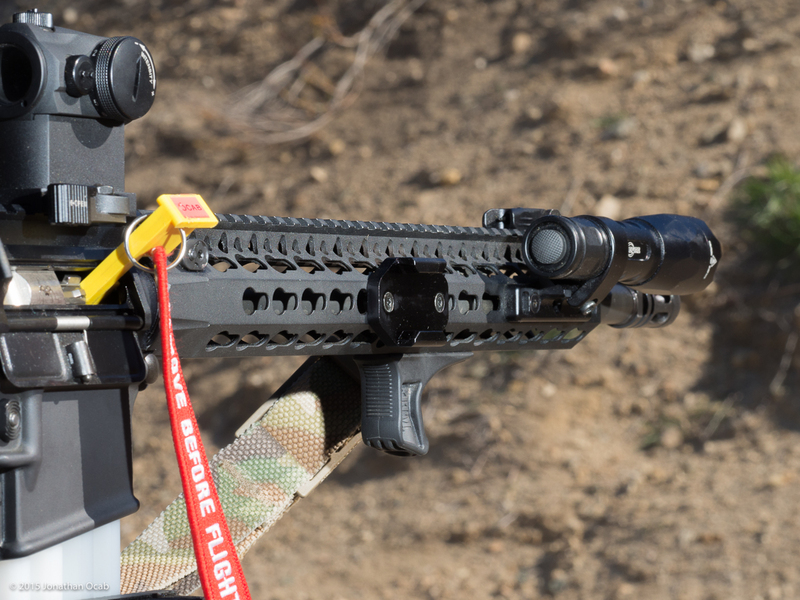 The resulting setup of the GoPro HERO4 Session and Wojtek Weaponry GoPro Keymod mount combination makes for a nice setup on a Keymod capable AR-15 handguard. Not too imbalanced and not as overly bulky as a standard sized GoPro with a Picatinny mount. This makes for some interesting ‘selfie’ videos while shooting. Anyway, the Wojtek Weaponry GoPro Keymod mount is a handy adapter for anyone that wants to mount a GoPro to their Keymod compatible handguard. As far as the GoPro HERO4 Session, it’s not bad. The quality is definitely not great, but not terrible. I’m sure I could recover some in post-procession, but my video editing isn’t all that great. I will say that the Protune (GoPro ‘RAW format) actually comes out of the camera looking a lot better than it did with the older GoPro HERO3 I bought a few years back (and returned). Also, editing Protune is a lot better with native support in Adobe Premiere CC. The fact that the HERO4 Session uses a fixed, non-removable battery is another compromise you make for form factor. On paper, GoPro claims as long as 2:05 (2 hours, 5 minutes) without WiFi On and Remote Control, but as little as 1:35 with WiFi On and using the GoPro iOS App to control the camera. Comparatively, this is on par with the GoPro HERO4 Silver, which is rated for 1:30 to 2:00. Tip: To charge a GoPro HERO4 Session “in the field,” try using a portable battery pack with USB ports, like those sold for charging smartphones and tablets. I actually charged the Session using an older Anker Astro E4 and it charged just as fast as using an iPad charger. Considering the price is down to $200, it is definitely something to consider getting if you need something very small for video recording in applications such as this, and are willing to make the compromises of quality (slightly worse to a HERO4 Silver or Black) and lack of removable battery. Have you tried this with any other GoPro cameras? I’m tempted to try one but I’ve only got a couple Hero3Black models and don’t think I’d like how bulky it could be. I have not. I don’t think the weight of a GoPro Hero3 will be an issue. The size might be, though.